The key to Tracey’s success has been the result of her dedicated work ethic. She knows how to listen and is generous in offering information. Her main intention is to understand her client’s needs and build a relationship that will last over the course of time. Tracey is proud of her ability and success in finding her clients the perfect home and is even prouder to consider them her friends for years to come. When orchestrating deals for her buyers and sellers, Tracey is assertive and effective. She has lived and worked in Richmond Hill for over eleven years, but also has sold homes in Savannah, Pooler, Guyton, Port Wentworth, and the surrounding Savannah area. Her unique background in residential home construction makes her a strong negotiator and an advocate for her clients. She is a proven buyer and seller’s agent that also has experience with short sales and foreclosures. Tracey is proud to have assisted many military families relocate to and from our area. 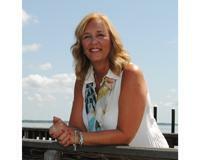 She offers clients a seasoned knowledge of the Low Country and an intimate understanding of what makes each distinct residential niche so special and unique. Her comfort level spans serving everyone from high-profile corporate clients to first time home buyers looking for their perfect home. three beautiful grandchildren. Tracey also enjoys cooking and walking her two dogs McTavish and Finley. Highly recommend Tracey Reid! Tracey was the ultimate professional. Tracey listened to all my needs and met those needed by selling me my beautiful new home. Tracey went above and beyond what is normally expected of a realtor. Made the process of buying a new home fun. When house hunting with Tracey Reid I actually felt I was shopping with my best friend. Highly recommend Tracey Reid. We are so happy we chose Tracey Reid as our realtor! I highly recommend her! My husband and I were first time home buyers and she took the worry and stress out of everything! She listened to what we were looking for and helped us find it! Her negotiation skills were fantastic, and her knowledge and expertise is evident in all she did for us! You can tell she truly cares for her clients and wants them to get exactly what they are looking for! I highly recommend her to anyone buying or selling their home! "Highly recommend Tracey Reid! Tracey was the ultimate professional. Tracey listened to all my needs and met those needed by selling me my beautiful new home. Tracey went above and beyond what is normally expected of a realtor. Made the process of buying a new home fun. When house hunting with Tracey Reid I actually felt I was shopping with my best friend. Highly recommend Tracey Reid. "